Does Tuna in Water Give Cats Diarrhea? A sudden tuna treat may trigger diarrhea in your kitty. When you think of giving a cat a tasty treat, canned tuna in water may come to mind. Although the fish may indeed by yummy to felines, it may not be the most nutritious and suitable choice for them. Before feeding your cutie anything, do your research first. Canned tuna is not a healthy or nutritionally valuable choice for feeding your precious pet. Tuna in water lacks sufficient vitamin E, which could lead to deficiency-related conditions such as the potentially harmful yellow fat disease. Some signs of this disorder include inflammation, fever and appetite loss. If you want to feed your kitty some fish, look for moistened tuna-based cat food. Human food is designed specifically for people -- not kitties. Apart from vitamin E, boneless canned tuna lacks various other nutrients that are so vital to cats, including copper, sodium and calcium. Simply put, canned tuna in water is made for human consumption and is neither ideal nor safe to feed regularly or frequently to felines. Not to mention, possible mercury levels in tuna can also be dangerous. Too much tuna can lead to malnutrition in your dear pet -- not good. Diarrhea isn't generally associated with cats and canned tuna. That isn't to say that it's not a possibility. For example, if your pet has a food allergy or dietary tolerance to canned tuna, diarrhea is definitely an unpleasant -- and messy -- possibility. Also remember that dietary changes -- especially fast and sudden ones -- are a huge culprit behind feline diarrhea. If your pet is used to eating a certain type of dry or wet food, and out of nowhere you feed her canned tuna in water, don't be surprised if she experiences discomfort and watery stools. 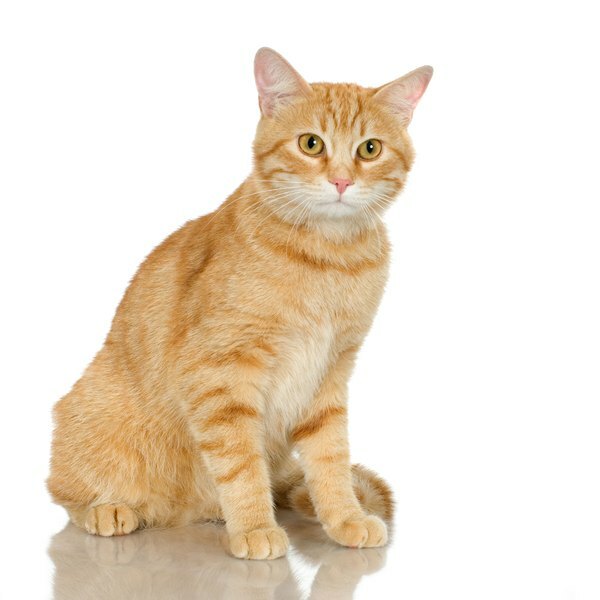 If you fed your kitty canned tuna in water and notice that she is experiencing any unusual effects, whether diarrhea or vomiting, don't hesitate to seek veterinary attention immediately. After all, your fluff ball is definitely worth it. Speak to your veterinarian before you introduce new foods into your cat's diet -- tuna in water included. Can You Spray Water at Cats & Dogs to Make Them Stop Fighting? Do I Still Need to Change the Water in a Saltwater Aquarium if Levels Are Good? How Much Water Should a Dog Drink in a Day?